Jubilee Memorial Hospital, Palayam, Trivandrum, capital of Gods own country, Kerala in South India, is the only Christian Health Care Service provider in the capital city of Kerala. The mission of this hospital is “Promotion of Life Though Health Care with Love”. The Latin Archdiocese of Trivandrum had undertaken this initiative of health care service in 1987 July 24 with Christian spirit with a vision of health enhancement of the poor in the village and promoting women empowerment and to provide job opportunity in the health care service for their uplift on the Golden Jubilee Celebration of the Diocese. “A friendly, homely and affordable hospital” is what our patients and relatives say about Jubilee Memorial Hospital. Where as our staffs say that they feel a warm family atmosphere, and our doctors feel “Jubilee is place of ethical medical practice”. The management is trying to make Jubilee Hospital a place of healing and comfort of Jesus. Life is the most precious gift and expression of God\’s love and Jubilee Memorial Hospital is committed to foster and promote it. Ear, Nose, and Throat (ENT) clinic Jubilee Hospital, Trivandrum. ENT is a much-needed service used by all ages. So many people have problems with their ears, nose and throat, and most people are unable to find a good ENT surgeon in town. 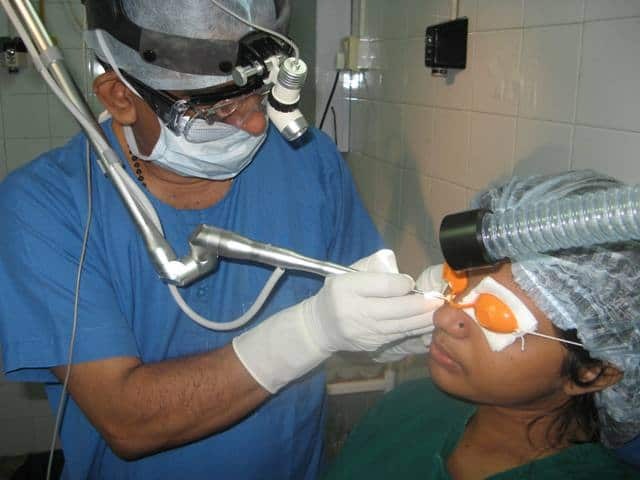 Now you don\’t have to go any where, please visit the ENT clinic headed by Dr.K.O.Paulose FRCS DLO (Fellow of the Royal College of Surgeons England) with more than 33 years experience in this field all over the world. The ENT clinic in Jubilee Hospital, Trivandrum, offers good quality affordable service at affordable cost to the average patients. It is a charitable, non corporate hospital and is run by the Arch Diocese of Trivandrum, under the guidance of Most Rev.Soosapakyam, the Arch Bishop of Trivandrum.